Everglades National Park is the third largest park and is the largest remaining subtropical wilderness in the United States. In fact, one third of this park is covered by water. This unique climate in southern Florida is known for its broad, shallow river, volume of seagrass beds and the amazing diversity of plants and animals. Its abundant wildlife includes rare and endangered species, such as the American crocodile, Florida panther, and West Indian manatee to name a few. Today, the Everglades is an ecosystem in danger. Natural cycles of feeding and nesting have been disrupted due to the change in water flow to this area on account of the growing population in South Florida. Many visitors to this park enjoy the mild and pleasant season from December through May each year while the summer months can be extremely hot and humid. 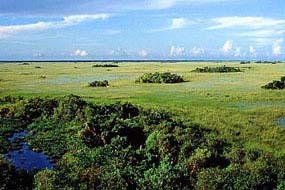 Everglades Nat’l Park as shown on the NPS website. Many miles of hiking, biking and canoe trails, boat tours and tram tours are excellent for viewing wildlife, including alligators and many tropical and temperate birds. Fishing is also very popular. Both freshwater and saltwater fishing opportunities can be found within the park. 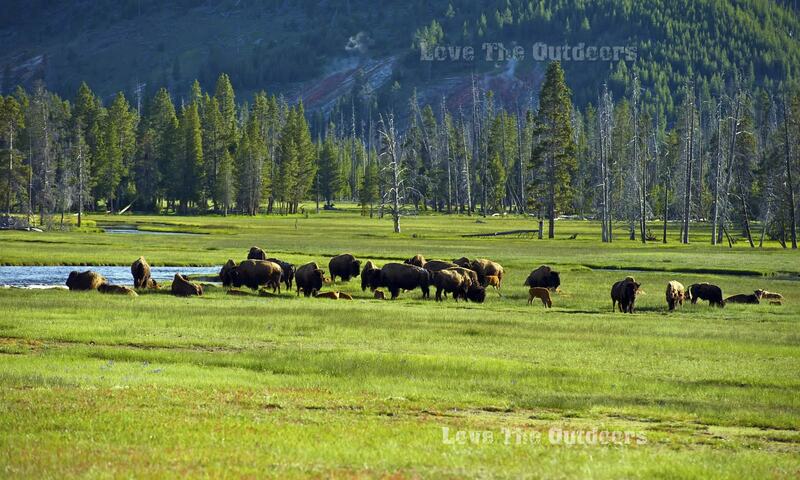 Many ranger-led programs are scheduled for a fun and educational experience. And of course, campsite are available if you want an extended visit to really experience this wilderness and solitude. Everglades National Park offers many educational opportunities as the park itself is a classroom where you will learn by simply experiencing its unique beauty and observing its amazing wildlife. Visit the Everglades National Park website for more information. The Everglades is a cool place to tour. Do you think the alligators would bother Kayakers?